Artist Chi-Lan Pa Hao Lan uses symbols and critiques to present his anxiety towards dying aboriginal culture, the wild boar rushes madly from forest, ocean to city, crying out furiously to challenge the new century. Chi-Lan's artistic nature lies beneath the body long tamed by the modern society, he tries to find back his original wildness through art creation. The complicated memories on his mind turns into innovate totems, which are distant from the traditional taboo but still hard to wipe out his legacy, the contradiction marks beautiful and suffering scars on him. It's the self- discovery, self-revolution of Chi-Lan, but also shows the suspending, unstable situation of Taiwanese aborigines: the longing for new power to rebuild the maternal culture and refuse to be forgotten. Chi-Lan Pa Hao Lan is a freelance visual artist. His mother came from a Paiwan tribe in Dawu, Taitung, while his father was from Hunan, China. He grew up in a veteran village, and studied and worked in Taipei. In 2009, Chi-Lan moved from Taipei to Dong Chang Tribe of Amis nearby the shore of Hualian, where he came to realize the indigenous cultural universe. It was not simply a trace of origin, but also an understanding and identity toward a culture. Hence, even though Chi-Lan is originated from Paiwan, he was touched by the traditional culture of Amis, starting his journey of reflection as well as creation. Chi-Lan’s artworks make an interesting contrasts with the vigorous, primitive inner force rooted in his character. They carry a sense of humor and child-like touch, displaying the agonizing hatred with sarcasm. What audience will feel is a force of impact instead of harmonious aesthetic. The world of absurdity within oftentimes draws its spectators into contemplation. The boars that rushed into concrete jungle accidentally bumped into a lying giant on their way. The pattern of giant's totem extends and becomes the prototypes of pattern on boars' body that has been passed on for generations. The pattern on giant is fading, and the signs that should be developed through the times have grown without maternal culture's spirit. The clock on giant's belly has stop ped as if it's prisoned, accusing time for not being functional to continue the great culture's vitality. The dying giant in the middle is a metaphor of Taiwanese aboriginal culture. The priest above the giant used to bridge between the holy spirits and men, now lost the pure spirit in his soul due to the careless consumption of traditional art and culture. ​The priest was hung high above and dying painfully, being sentenced by the stagnated maternal culture. The coming of new century, rapid changes of civilization and urbanization urged the shift of generations. Patterns on boars' body were like a cloak being put on hastily, only the shape was remained but without solid internalization procedure. Many aborigines already forgot the original totem, drifting ups and downs in the dominant Han culture. However, there are still some aborigines bearing the spirit of traditional culture. They observe and reflect carefully, doing all they can to fight for the new contemporary totem variation in the future. Formosan Wild Boar is a special species exists only in Taiwan. It has long been considered conservation- deserving animal, became severely endangered since 1990, and now facing the crisis of being threatened species. The endangered Formosan wild boar is just like the dying out Taiwanese aboriginal cultural spirits, fading out gradually under the rapid changing circumstance. 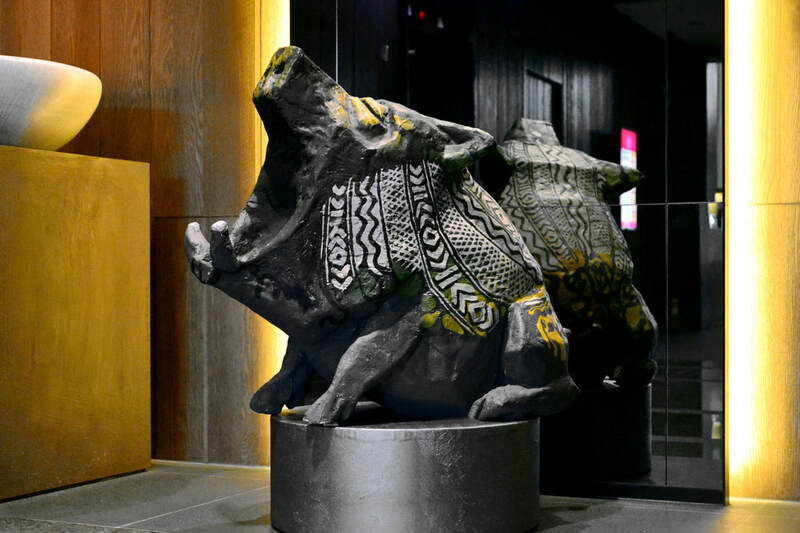 In the exhibition, artist uses 101 Formosan wild boars as media to present the aboriginal cultures, which share the similar existing situation, in order to rethink and to question: In the reality that traditional culture has been ignored and dying out, can we scream out for emancipation and fight for spiritual believes? When the 101 wild boars rushed from forest to city, raging for surviving, they also ignited the self-reflection deep in our mind, and outbroke the fire of discovering desire. Wild Boar School held at Fu Jen Catholic University in May 2017 marks the third movement of “Inner Revolution” series. 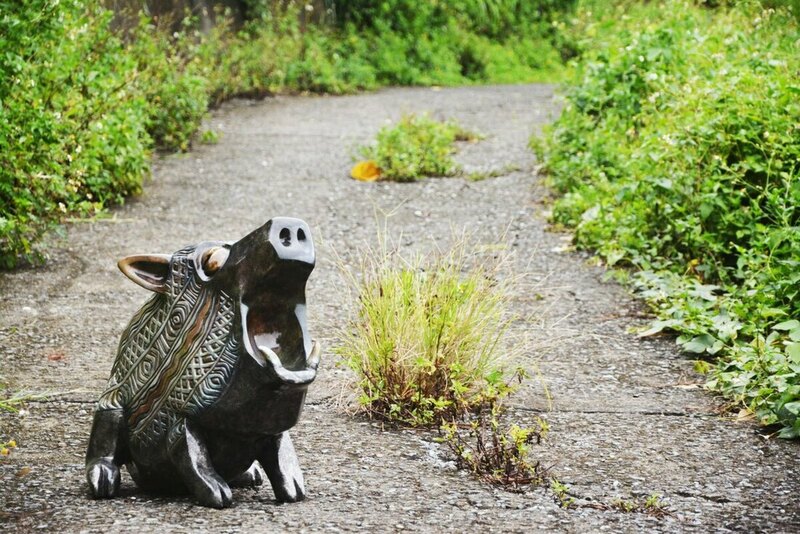 Boars that roam in the concrete jungle cross the campus wall and wander freely amidst the abundant sea of books and the vast grass of liberty, symbolizing the indigenous youth go on an expedition on their journey of life with dreams and curiosity in the city and on campus. They absorb and learn in volume like sponge, aiming to acquire the ultimate power to alter the fate of their own tribes along with the bravery and perseverance to grow. The imagery of arrows of left and right delicately inserted in the poster of this exhibition represents the question of turning left or right from the young power of new generation. Be that left or right, it is a challenge that all youth with ambition nowadays has to confront, taking actions as their proclamations and declarations. The indigenous youth of the new generation, we have come forth to support you and say to you, “Fear not for the difficulties ahead, for you shall overcome all the challenges in the days to come! Young Boars venture out of the forest and wander in the city, searching for a place to rest, which symbolizes the indigenous peoples stepping out their own tribes and engaging in conversations with the mainstream society while developing more space for survival. CHEN-MEI Art & Culture Inc. sincerely looks forward to becoming a friendly stronghold for the indigenous peoples in the city. We are convinced that such idea is the very first step for the mutual harmony between the indigenous and the Han peoples. Wild Boar Travel is one of the events from “Inner Revolution” series organized by CHEN-MEI Art & Culture Inc. Following Variation of Totem 2015, Lost in Time in 2016, and Wild Boar School in 2017, it is the forth action art exhibition plan that not only aligns with the spirit of “Inner Revolution”, but reflects the ideas of friendship, respect, coexistence, and support of CHEN-MEI Art & Culture Inc. on the issues with the indigenous peoples. In hopes of passing on such spirit, we look forward to more people aboard on the promotion of the indigenous culture. Host by the Association of South-Link Health Care Promotion of Taitung County and South-Link Foundation Provisional Office and co-organized by CHEN-MEI Art & Culture Inc., “the 5th Movement of Inner Revolution – Wild Boars Coming Home @South-Link” took place at the Art Space of the Provisional Office January 19th (Fri.) to March 2nd (Fri.). 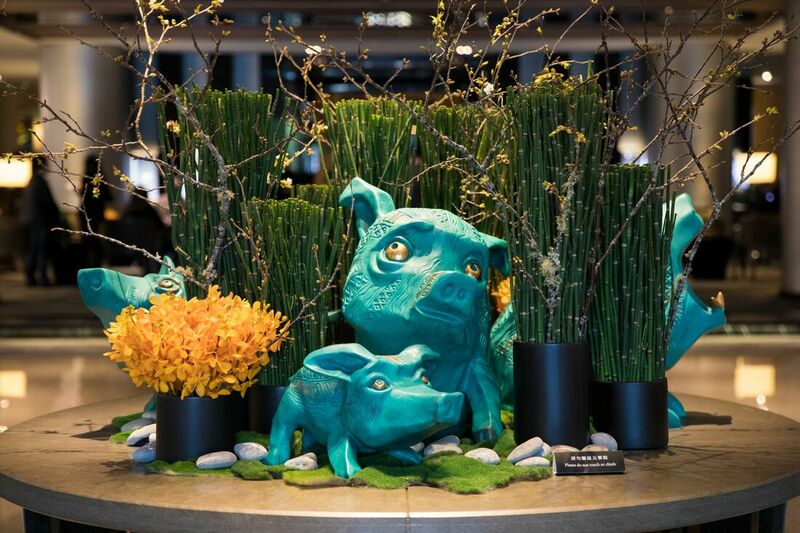 “Inner Revolution” is a band of 101 boar sculptures created by Pahawlan Cilan in 2015. Over the 10-month period of working, the artist challenged himself physically with a quantity he had never attempted before, so as to carve out a collective manifesto. 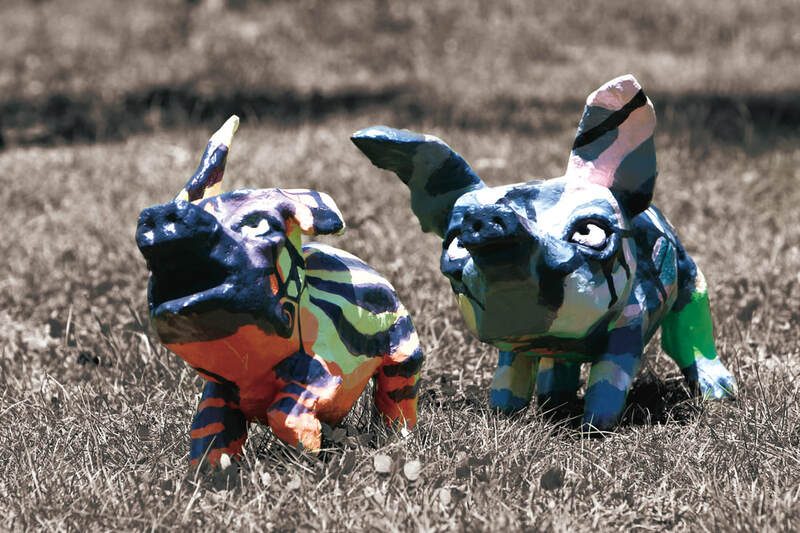 The hand-painted totems on these boars are not of the traditional totems of the indigenous people, but of the artist’s variation. 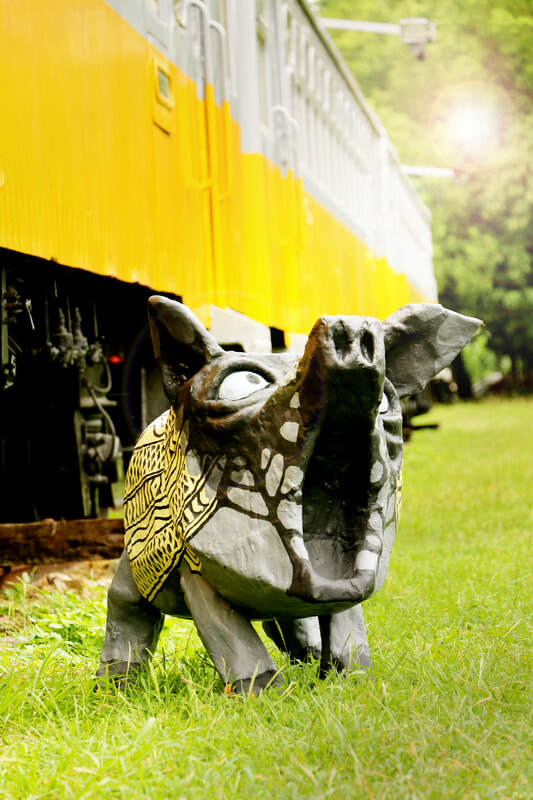 In 2015, CHEN-MEI Art & Culture Inc. patronized the charity music album, 4141 Sing for South-Link Line, in shooting music video “My Tribe, Myself”, within which the boars of Cilan sing and share the stories of South-link along with the musicians. In addition, the Mayor of Taipei City, Ko Wen-Je, signed his autograph on the boar sculpture No. 77 to express his support to South-Link Hospital as the last piece of the health care safety net in Taiwan and to raise the awareness of the public on the issue. 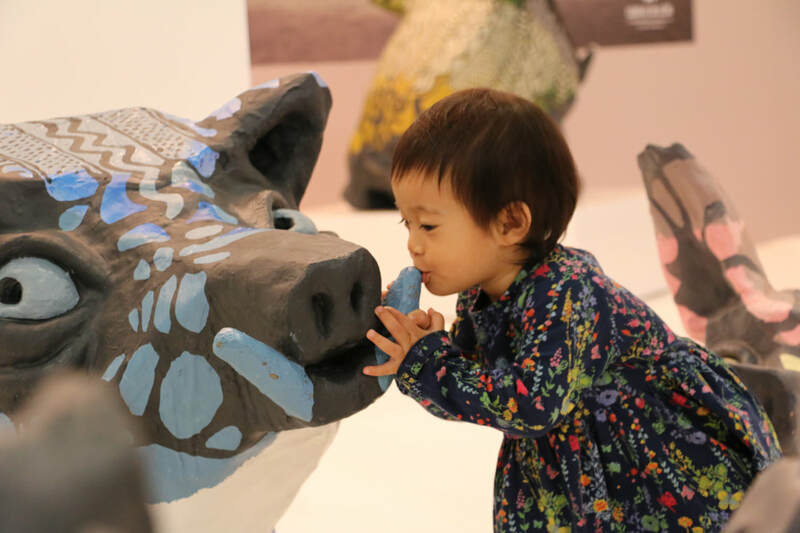 In 2017, Cilan once again demonstrated his support to South-Link Hospital via action art and created a sculpture of boar, which is a biscuit-fired piggy bank, FAFA, whereas CHEN-MEI Art & Culture Inc. provided the work No. 59 of “Inner Revolution” as the model for the making of the biscuit-fired piggy bank, FUFU, to send a message of love and care for South-Link. 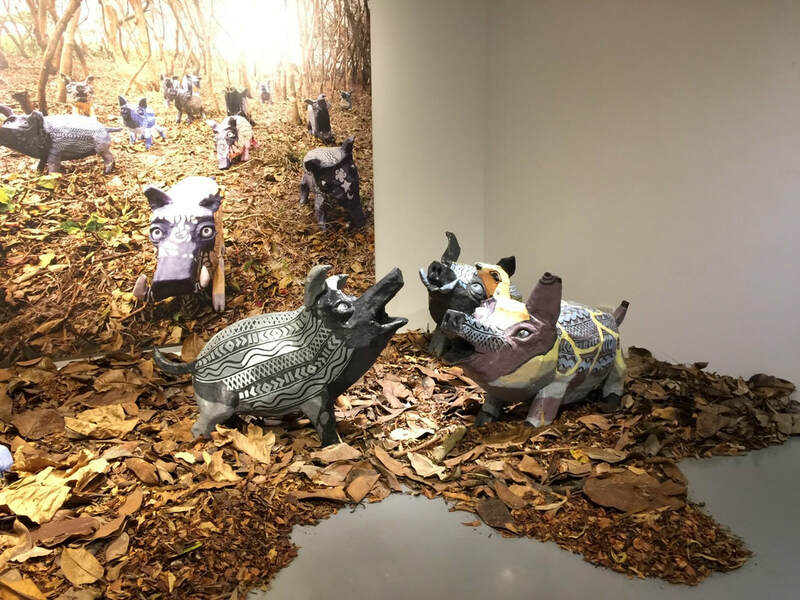 “The 5th Movement of Inner Revolution – Wild Boars Coming Home @South-Link” exhibited from January 19th (Fri.) to March 2nd (Fri.) in 2018 at the Art Space of the Provisional Office. Eight Works from “Inner Revolution” series, No. 3, 66, 68, 73, 84, 85 and 87, as well as No. 77 (the one with Ko Wen-Je’s autograph), were showcased in the exhibition. 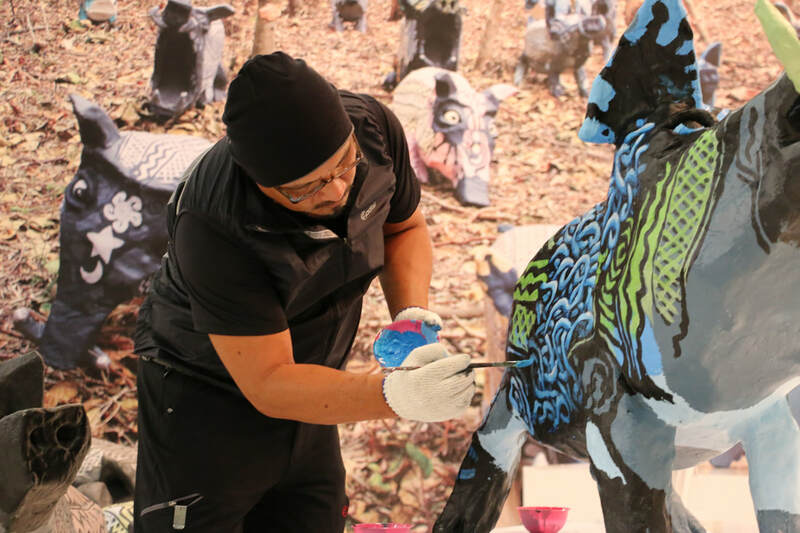 The activity of painting FAFA & FUFU was thrown at the exhibition as well with the guitarist Stone from the band “Mayday”, doctor Chao-Pin Hsu, and the organizer Danubak for music album 4141. Silks Hotel Group is proud to announce its collaboration with Chen-Mei Art & Culture Inc., a non-profit enterprise devoted to sponsoring projects related to Taiwan’s indigenous peoples. 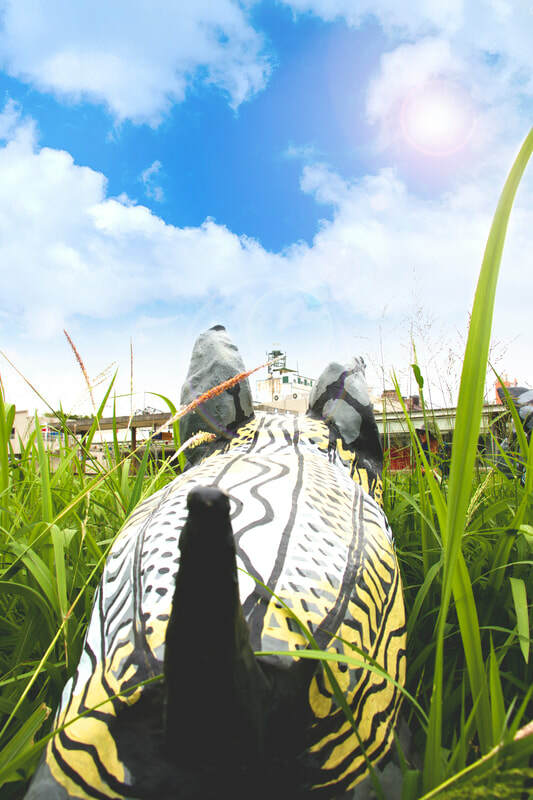 This year’s project, “Inner Revolution VI – Travels around Taiwan,” will take place from February 1 to June 30, opening at Silks Place Tainan before moving to Regent Taipei and concluding at Silks Place Taroko. 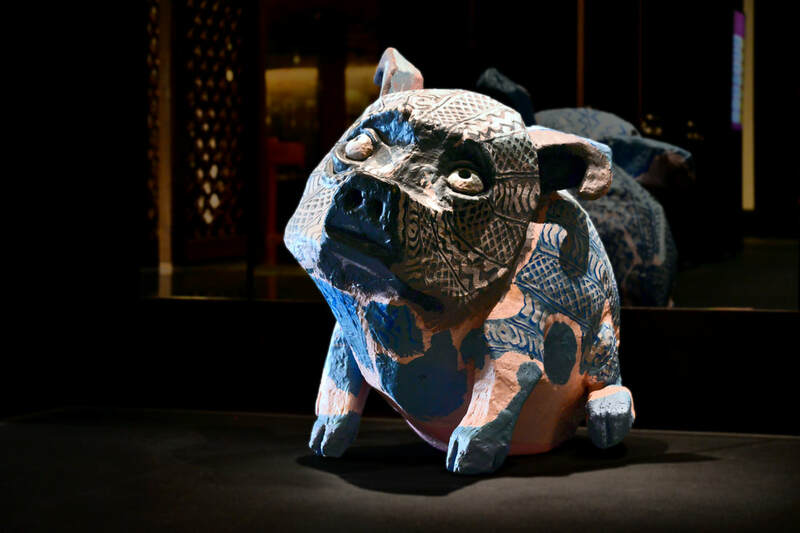 As 2019 is the Year of the Pig according to the Chinese calendar, the exhibition will feature nearly 50 colorful wild boar sculptures from renowned artist Chi-Lan Pa Hao Lan throughout the hotels’ public areas. In addition to providing bespoke and intuitive service, timeless designs, and extraordinary facilities that exceed the expectations of distinguished business travelers and local patrons alike, the Group aims to build an international cultural exchange platform that is infused with the unique essence of each property’s distinct locale while connecting travelers to the world. 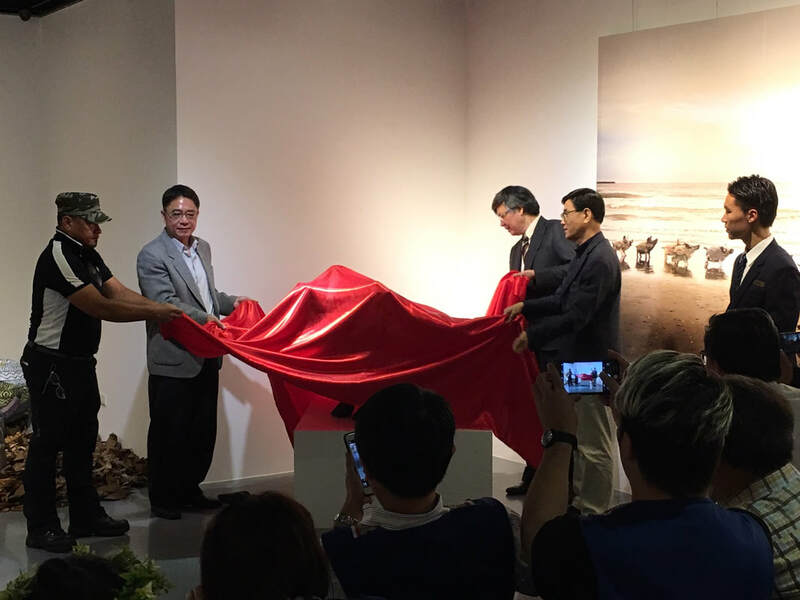 Echoing the Group’s philosophy, this year’s collaborative project is meticulously curated to reflect Taiwan’s indigenous aesthetics while showcasing masterful works of local art to travelers from around the world.